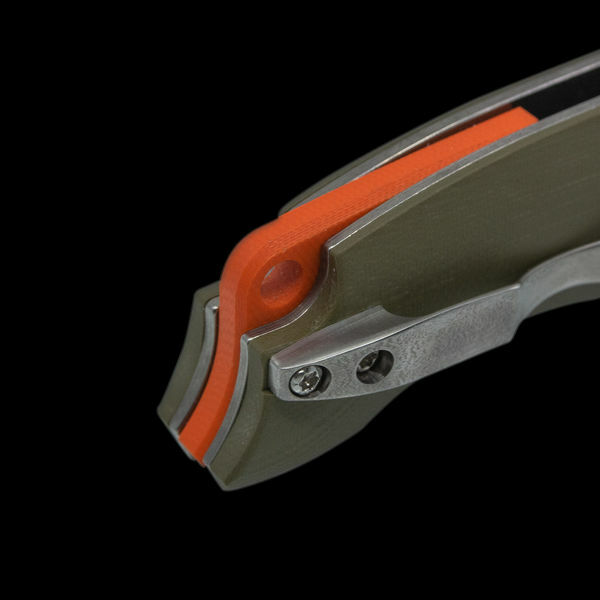 John Gonzalez of Dervish Knives is best known for his modern interpretation of classic designs. With a degree in graphic design and illustration, and a long-standing passion for knives and swords, John’s unique perspective yields knives with clean lines and distinct visual beauty. The Comanche Mid Tech is no different; this is classic Dervish at its best. 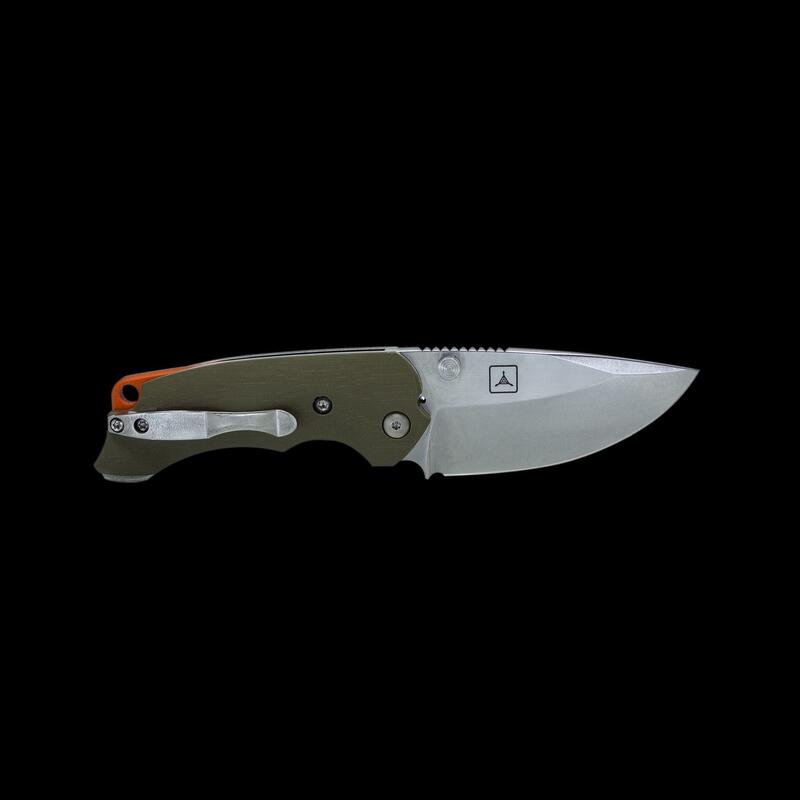 Designed to be a jack of all trades in less permissive environments. 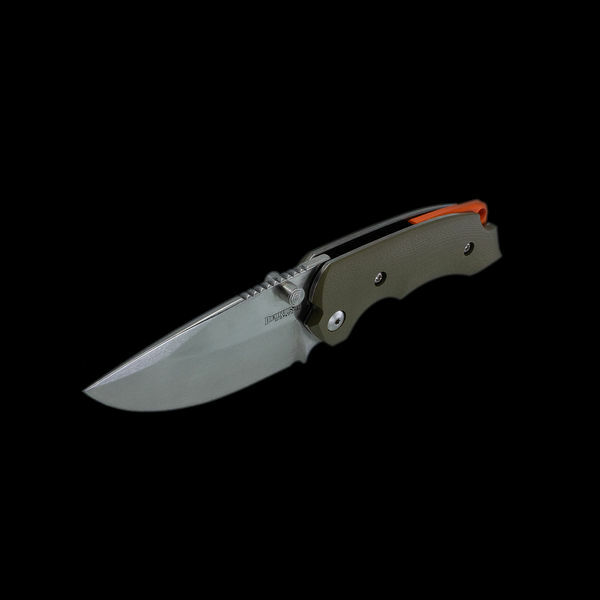 The Comanche Mid Tec is Johns answer to increasingly restrictive 3 inch limits, wanting to provide as much blade as possible in a compact folder. 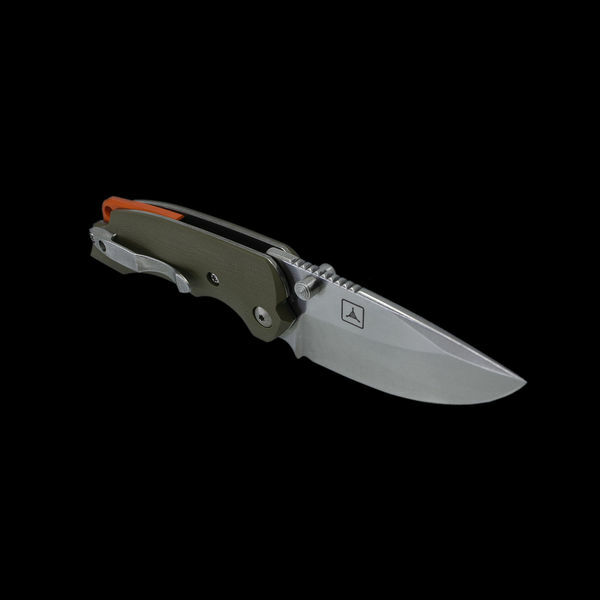 The overall classic look of the Comanche Mid Tech is due to its OD G10 slabs and NATO orange backspacer. 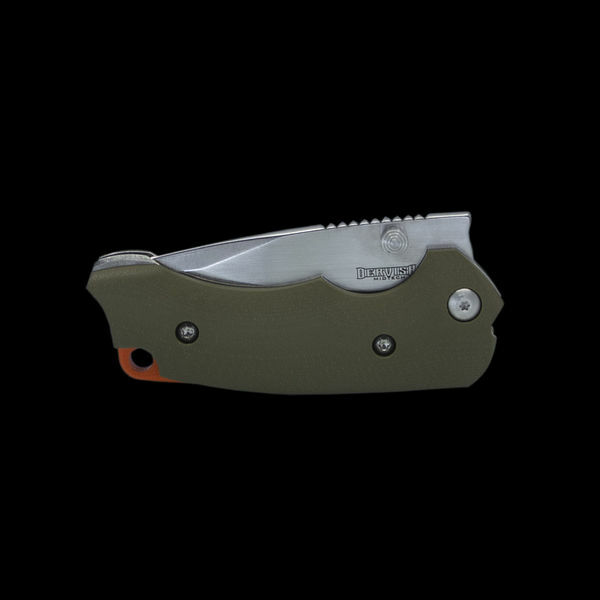 The 3” CPM S90V swedged drop point is is overly tall, offering a deep belly and great leverage in a smaller blade. Substantial jimping on the spine further aides in control of the blade while the stonewash bevles and satin flats offer a durable and attractive finish. Heavily contoured G10 handles offer superior grip in this compact package while the titanium liner lock provides excellent lock up. Dual thumbstuds deploy a blade riding on Nylatron washers designed to work in the dirtiest of environments. The robust 3D titanium pocket clip has an orange peel finish and offers great retention in the pocket. The finishing touches on this limited edition Mid Tech include a titanium pivot , and TAD logo opposite Dervish on the blade. 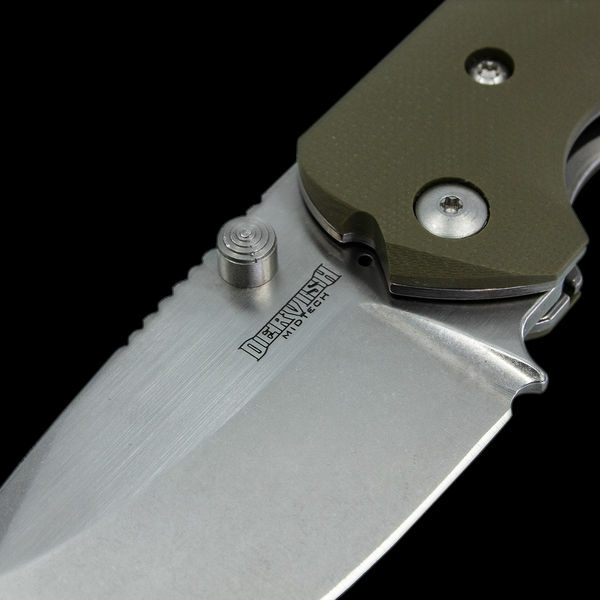 Heavily chamfered handle with contoured G10 for deep positive grip and retention. 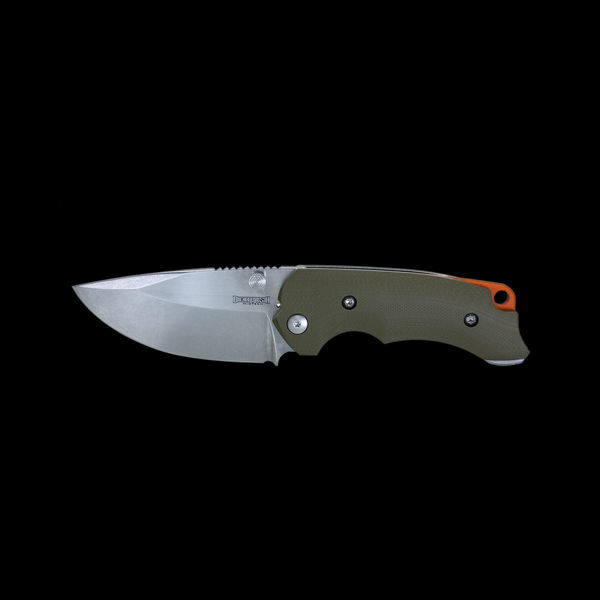 Modified drop point CPM S90V blade with 2 tone stonewash bevles and satin flats..
NATO orange backspacer with lanyard hole . Nylatron washers for reliability in any environment. 3D style titanium clip with Orange peel finish. John Gonzalez’s passion for knives and swords began in adolescence, but it wasn’t until the late 1990’s when his interest in custom, handmade knives began to grow. Inspired by a myriad of elegant and lethal designs from diverse cultures and eras, Gonzalez is best known for his modern interpretation of these classics. 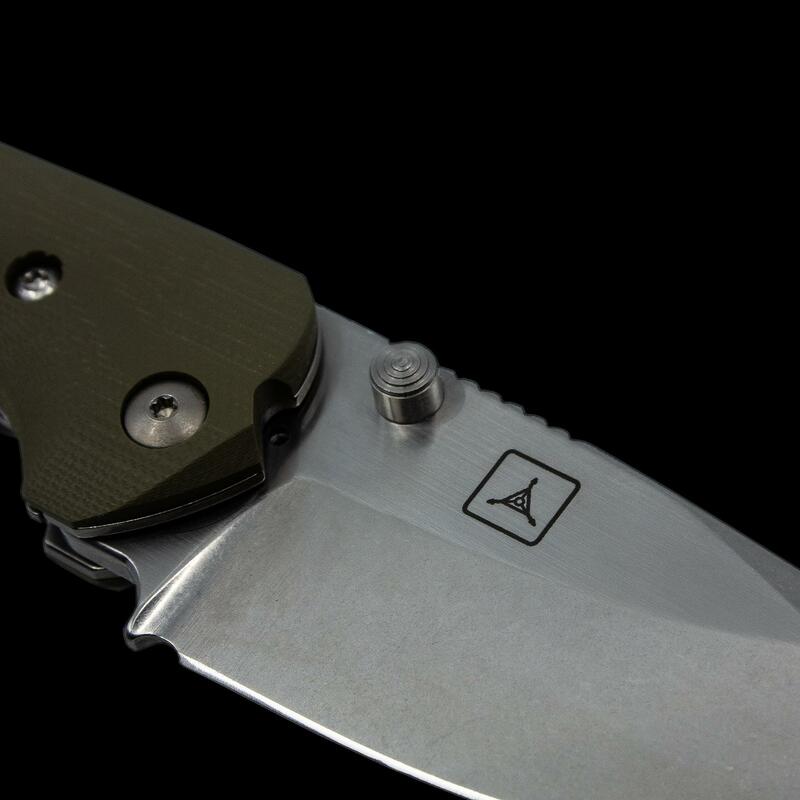 With a background in graphic design and illustration and his thorough knowledge of time-tested designs and geometries, John’s unique perspective yields knives that excel in both function and form. 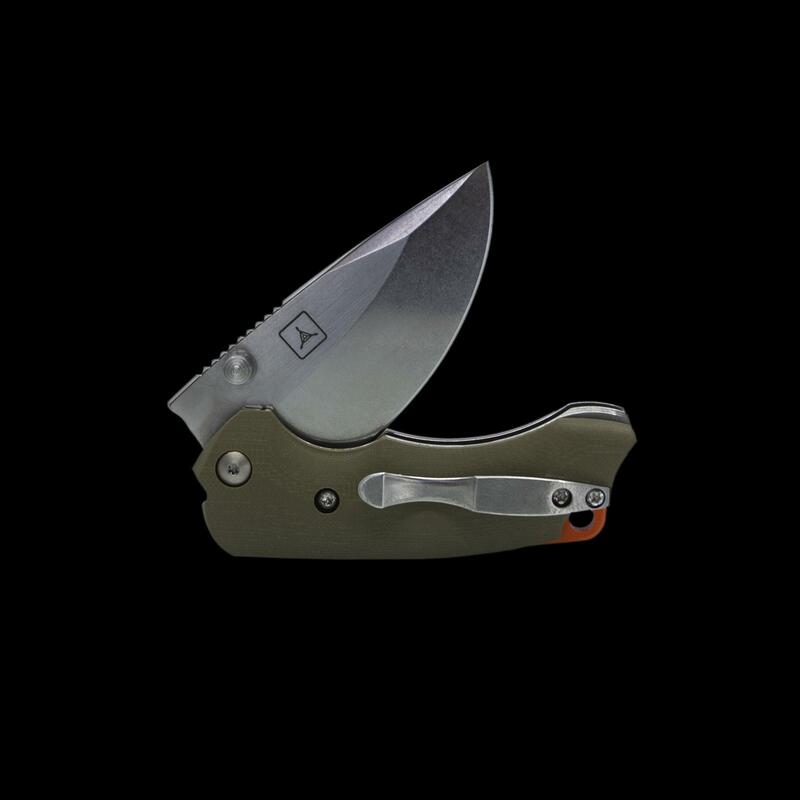 By placing an order with Triple Aught Design, you are verifying that you are over 18 years of age and are aware of all local, state and federal laws regarding the possession of, or the carrying of this product. Triple Aught Design shall be held blameless for any infraction of laws made by the purchaser.